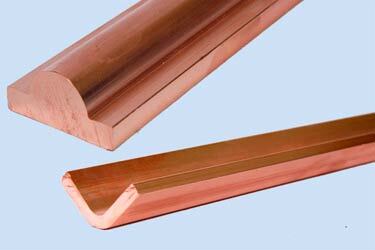 Clients can contact us to avail durable Copper Sections. We offer sturdily constructed Copper Sections that are widely used in construction, automotive and engineering sectors. These Copper Sections are also corrosion resistant, light in weight and are attributed with good thermal and electrical conductivity. Moreover, these Copper Sections are offered in a wide array of dimensions, finishes and specifications at reasonable prices.